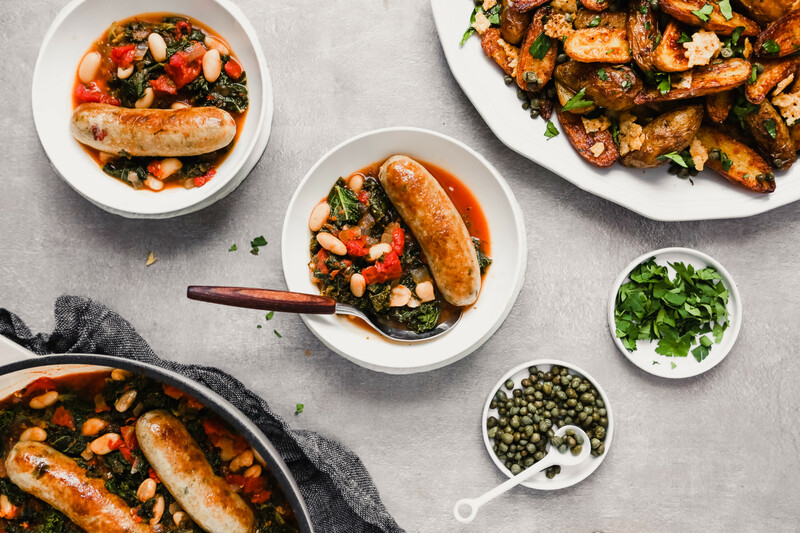 This easy Italian dinner menu is perfect for a variety of occasions. 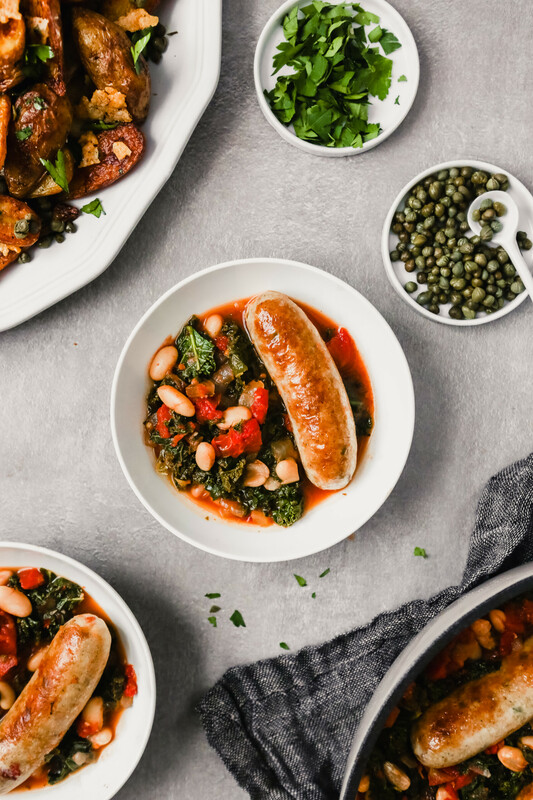 Whether you’re serving up Sunday night dinner for your family, having a few friends over or meal prepping for the week, this delicious and wholesome dinner can be apart of your plans. 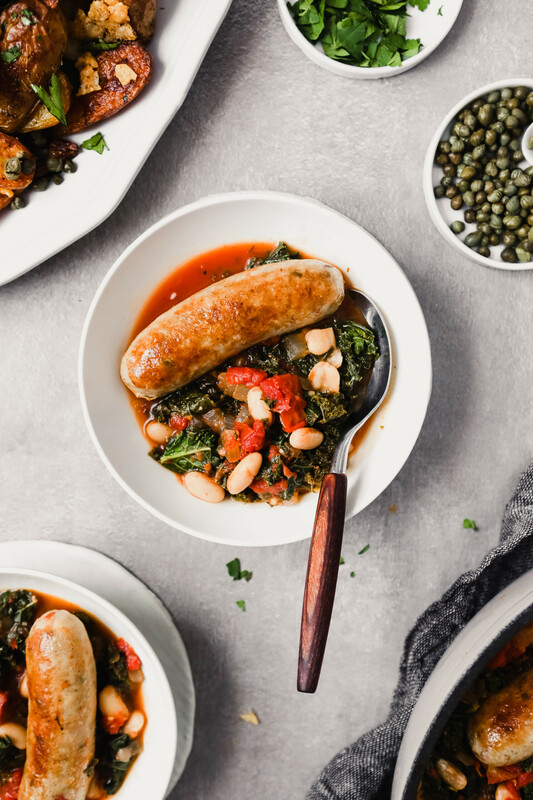 Made with tons of nutritious ingredients, this healthy meal is a modernized take on classic Tuscan food. Plus, while one dish is in the oven, the other is cooking on the stove top. Efficiency at its finest. Both recipes in this easy Italian dinner menu are easy to prepare. But for the sake of efficiency here are a few things you can prepare in advance to make the day-of lickety-split. Drain tomatoes (reserve juices) and beans then transfer, respectively, to airtight containers and refrigerate. Purée tomato juice and beans (follow recipe instructions) then transfer to an airtight container and refrigerate. Cut potatoes and transfer to a large pot filled with water. Cover and refrigerate until ready to cook. Bake frico, let cool and store in a zipper-lock bag or airtight container. 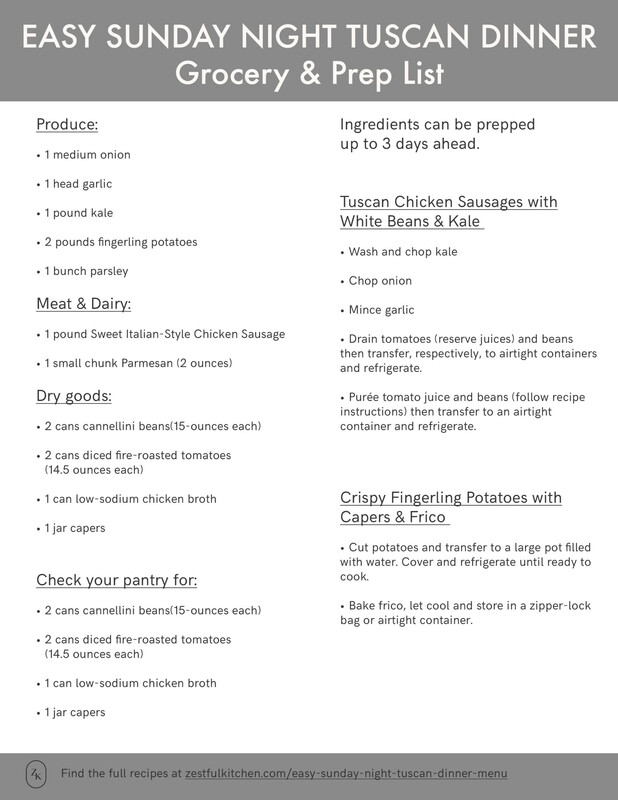 Get your printable grocery and prep list!